Shani is an intricately designed bridal shoe with cutaway styling and clear Perspex, to allow for a daring reveal of skin. The white Satin upper is beautifully embellished with clear Crystal trims. The removable ankle strap will suit any foot type. 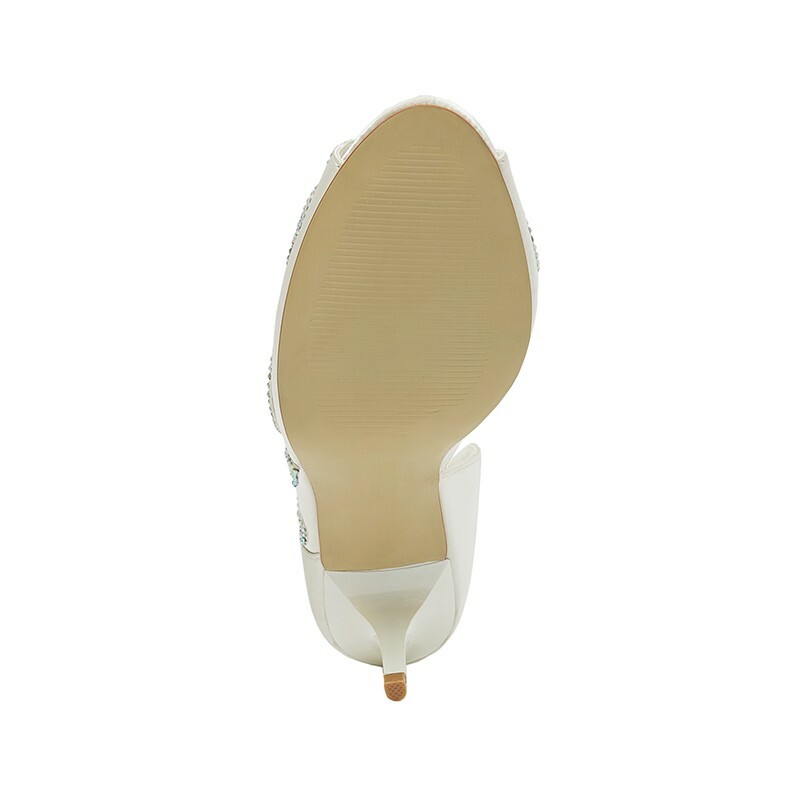 Shani has a strong resin heel that can be wiped clean, the heel height measures 8cm.